Everybody wants a flawless skin, of course, who wouldn't love a clear and glowing skin? But, due to the ruthless environment, our eating habits, and stressful lifestyle, a lot of us are subjected to be a victim of diseases. One such disease is that Psoriasis. Psoriasis is a chronic skin condition that produces plaques of thickened, scaling skin and is non-contagious. The excessive rapid proliferation of skin cells produces dry flakes of skin scales which results in dry, itchy patch. Psoriasis affects the skin of the knees, elbows, and scalp. How to Treat Psoriasis using Natural Treatments? Choosing a general and natural way to treat Psoriasis is recommended, and we at RJRHerbal Hospitals strive to fight diseases naturally using Ayurveda, Unani, and Siddha. We have a holistic approach to treat the disease without having harmful side effects, unlike the chemical treatments. What are Siddha, Ayurveda, and Unani? Siddha: The concepts of the Siddha medicine are almost similar to Ayurveda. The difference is that the Siddha medicine recognizes the majority of vatham in childhood, pitham in adulthood and kapam in old age, whereas in Ayurveda it is reversed. Ayurveda: Ayurveda texts and the medical knowledge of it are said to be transferred from the Gods to sages, and then to human physicians. Ayurvedic doctors consider physical state, mental state, and personality as a unit, which has the ability to influence each other. Ayurveda also uses a holistic approach to diagnose and treat the disease which is its fundamental aspect. Unani: Unani diagnoses ailments through nabz [pulse] baraz [stool], and baul [urine]. The health of the entire mind-body constitution and of the various organs can be determined using these three. The holistic approach caters the mind, body, soul which helps Psoriasis to be treated without any side effects. 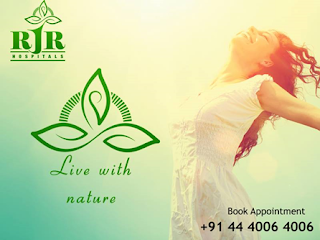 RJR Herbal Hospitals take intense care of patients and has a team of experienced and dedicated physicians to cater every single patient's need. Our history of success stories speaks on our behalf. 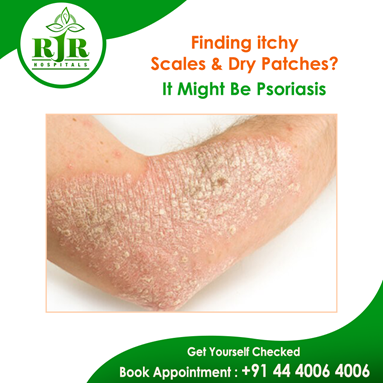 If you want a holistic approach and a transformative recovery without the worry of being a victim of side-effects, RJR Herbal Hospitals is the best option to cure Psoriasis.